Since we've been on a painting roll, we decided to tackle the kitchen as well. 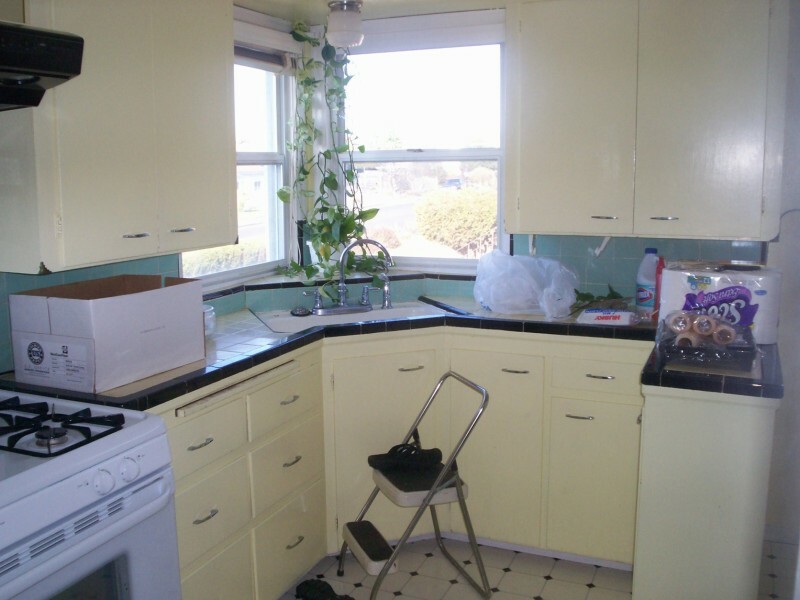 As mentioned in our first post, the kitchen has always been a bit of a frustration for us because of the thick layers of yellow paint on seemingly every surface, the lack of a dishwasher and the awkward counter space. We have yet to remedy the missing dishwasher nor the awkward counter space- but this past week, Brian did tackle some of the massive yellow overload. 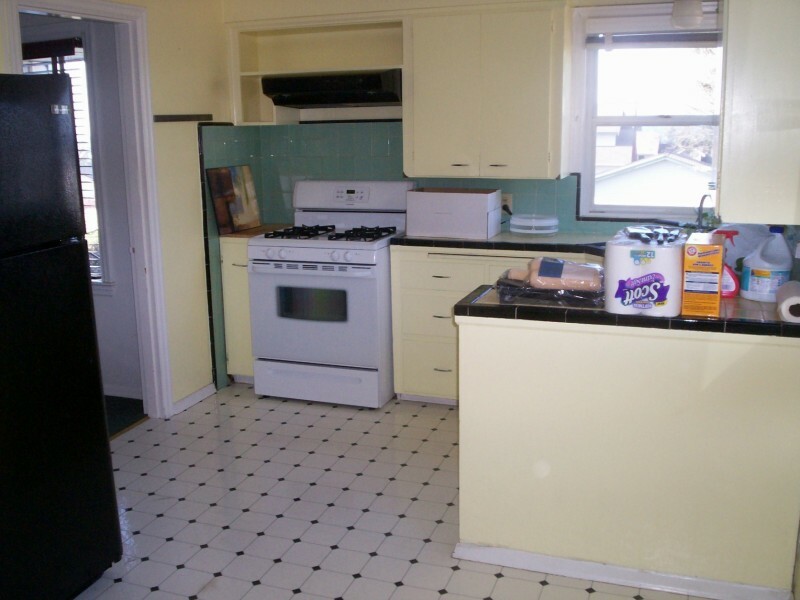 Since the kitchen has white and black tile and some awesome yellow, black and green tile counter tops & back splashes, we did want to keep some sunny yellow in there. Just not everywhere. See below for some pics of the kitchen on the day we moved in... even though its small & has an odd floor plan, it has new appliances, a window above the sink (which I love!) and is overall pretty cute, right? I am on the lookout for some great glass canisters to put in the open cabinet for dry goods like flour, pasta, sugar, etc. We are inheriting a baker's rack from my parents which is literally falling apart, so we look forward to restoring it and using that to help fix the counter space problem. We will be sanding it down, painting it black and affixing it to the wall for added support. Before & after pics to follow of that project. PS- When are you coming over to enjoy a refreshing beverage in our new/ vintage quaint kitchen!? Great job guys!!! It looks really good. 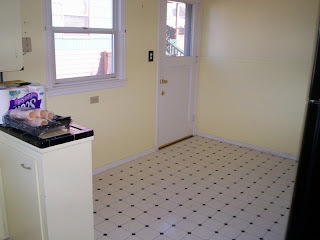 I love the open cabinet space and started eye balling my kitchen when I read that to see where I could do it! I have so many projects I want to around here that it's overwhelming! Thanks, Carla! We have a long ways to go before it's where we want it- but it's definitely a step in the right direction! I love your kitchen- and it's open floor plan. I know you've never shared that sentiment- but I think it's great! Thank you. 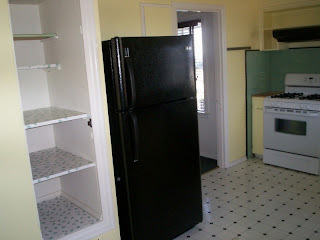 :) We bought it for the open floor plan because we loved it too, but when you move in, it has its challenges. One of them being - remodeling. I feel like you have to do everything at once, nothing is in a compartment. Or you have to be ok with always feeling like your half done with things. Does that make sense? I also feel like everything is out dated and screams 1998. But all the stuff I want to remodel costs much more money than what we have! You should come over again and bounce ideas off with me! :) I get lots of ideas, execution however... not my strong suit in interior design. 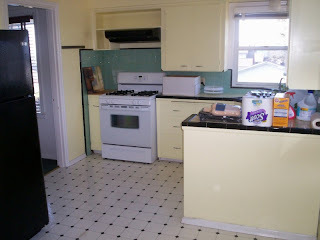 I think the kitchen looks fabulous and feel like you did awesome with that distressed piece! Thanks Paige- your daughter also recommended TJ Maxx. Finding canisters is easy- finding reasonably priced ones that I can afford like 8 of is another. World Market and TJ Maxx are both good ideas for reasonably priced ones! Thanks Kels! You'll have to come over sometime!